There's a long list of fandoms that you can dive into on Tumblr. And even years after some of their stories have ended, fans still can't get enough. While Twitter may be the place to go to directly follow all your favorite singers, bands, actors, authors, celebrities and high profile heroes, Tumblr is just one of those places that really serves as the ultimate place to be when you really want to connect with other fans of a particular topic and interact with the community. This is especially true for teens and young adults with strong interests in pop culture. 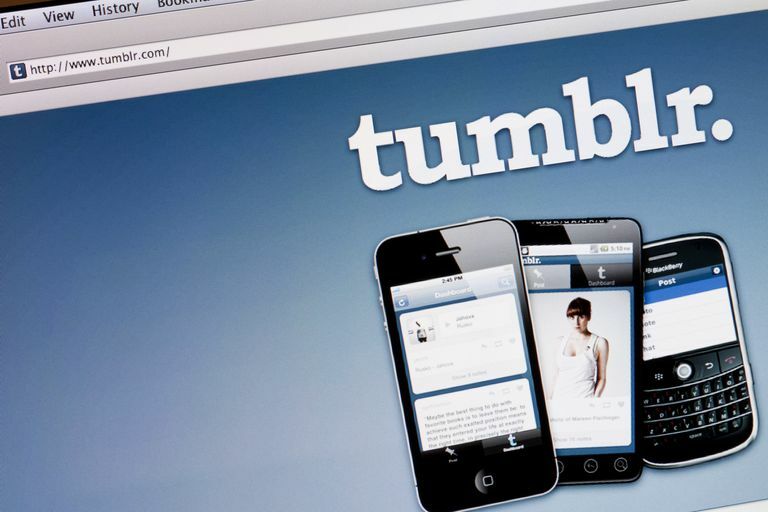 Tumblr fandoms are a unique part of Tumblr culture that see hoards of mostly young people come together, forming small subsets of fan-driven communities to enjoy one another’s creative fan art, gifs, photosets, fan fiction and discussions, usually about a popular TV show or movie or band/artist or something else. Members of these fandoms can often be found quite easily just by searching through Tumblr tags for a specific word or phrase. You can check out the following list of some of the biggest and most popular fandoms that have grown from its community. Want to know what the ultimate Tumblr fandom once was and probably still is on some infinite level? It’s got to be all things Doctor Who. You know, that BBC sci-fi series that documents the adventures of a Time Lord who travels through time in what’s called his TARDIS. Search through the Doctor Who tag and its related tags for an avalanche of fan-made gifs, personal opinions about the show or the fandom, jokes, memes and everything else. Sherlock is another British TV series, starring Benedict Cumberbatch as Sherlock Holmes–the man that this Tumblr fandom has been completely in love with since the show started back in 2010. The fandom became absolutely obsessed with Cumberbatch, and going through the Sherlock tag will unleash a wave of images or gifs full of him. It's an active fandom even with the uncertainty of an upcoming fifth season, and all those Sherlock Tumblr fangirls definitely aren’t afraid to admit how much they love the characters. The Harry Potter books and movies were concluded some time ago, but the Harry Potter Tumblr fandom is still thriving more than ever. It’s just one of those great and magical stories that are absolutely unforgettable. Many of the characters hold a special (and often humorous) place in fans' hearts, so you can search through any character’s name in the tags to find inspiring photos of the Harry/Ron/Hermione trio, hilarious gifs of Professor Snape or equally funny posts of Lord Voldemort. Like Doctor Who and Sherlock, The Walking Dead is another fandom based on a popular television drama series, this time about zombies. People who like this show are also usually into related horror/drama shows like True Blood, Dexter, Breaking Bad, Game of Thrones, Sons of Anarchy and others. These also have pretty reputable fandoms on Tumblr, many of which tend to overlap due to their similar themes and common interest in the Tumblr community. Homestuck was arguably the most popular part of the MS Paint Adventures webcomics collection. It launched in 2009 and ended in 2016, but Tumblr users still love it. Unless you’re very active in the Tumblr community (or even on Reddit, which has a popular fandom subreddit of its own) and follow a lot of blogs with updated content by teens and 20-somethings, you've probably never even heard of Homestuck. The Homestuck Tumblr tag is mostly dominated by cosplay photos and fan-made art. Adventure Time is an animated TV series on the Cartoon Network starring a teenage boy named Finn and his dog Jake having lots of crazy adventures—accompanied by many other colorful, whimsical characters that play important role in the show’s popularity as well. It’s really one of those weird cartoons that still appeal to the young adult generation rather than just exclusively to small children. Fans might be sad that it had to end in 2018, but this one of those cartoons that can be watched over and over again for the sake of nostalgia. Supernatural is yet another drama series documenting two brothers’ quest to hunt all sorts of mythical creatures, demons, and ghosts. And like Benedict Cumberbatch, the Tumblr fangirls are pretty keen on making it known that they really love Jared Padalecki too. You may have realized that many fandoms involve shows with Time Lords, detectives, zombies, vampires, wizards and other magical characters. Supernatural is no exception. Marvel Comics existed long before the dawn of the internet age, but even today, its fans are as active as ever. The movie industry may have contributed to that, maybe just a little. The fandom can actually be broken down into smaller sets of fandom communities that are focused on specific Marvel themes, like The Avengers, Thor, Iron Man, Captain America, Spiderman, Deadpool and all sorts other great superheroes or villains. The popular Japanese illustrative style called anime is another art form that has been around since before we had access to the internet, and Tumblr has grown to become a common place to share photos from favorite anime shows or comics, and of course to show off drawings or computer animations of anime characters. Fair warning before you decide to browse through any anime or manga-related Tumblr tags: you will almost certainly stumble across some NSFW content. So if you’ve got an interest in anime that you'd like to explore further, better be sure to scroll through the Tumblr fandom tags in a safe place. Finally, here's a special one saved for last. One of the biggest celebrities young entertainment love is Jennifer Lawrence, an actress who captured the hearts of Tumblr users after she starred in The Hunger Games. Perhaps the biggest reason why Tumblr is so fond of her is because most users can relate to her on a personal level, including her incredible sense of humor and awkward charm during celebrity events or interviews. She basically has her own fan-driven portion of Tumblr all to herself.